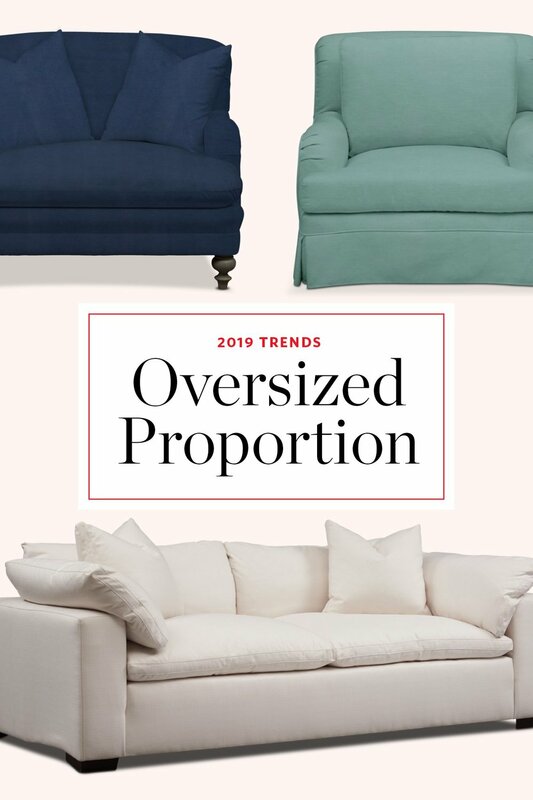 It’s looking like the Age of Staying In will continue into 2019, which may explain why warm, inviting velvet is emerging as this year’s go-to fabric. Pair up energizing shades of green and calming deep blue for a nature-inspired feel. Crisp, contemporary lines aren’t going out of style anytime soon. Still, we’re seeing many people looking for what else is out there and embracing pieces that take a gentler shape. Big doesn’t have to mean heavy: A generous shape in a light neutral or bright hue adds to, instead of detracts from, your space. Pro tip: Don’t be afraid of oversizing in a small space—you might have the urge to go for more elfin furniture, but often it creates a dollhouse effect that emphasizes the tininess. While it's certainly true that trends come and go, we find it still holds value to be aware of 'what's hot and what's not', particularly with regard to, for example, the sale of ones home. Think about staging for instance -- knowing how to present your home in a consumer-friendly way is key to drumming up interest, and one way to do that is by using the right pieces of furniture, art work, and home accessories that are in keeping with current styles. Food for thought!